This event series has been designed to encourage and support black students who are studying in the UK and considering a Masters, PhD or career in academia. Often, information about the steps students need to take to progress through academia is not transparent, easily accessible or well circulated. We have created a space for black students to share their thoughts and concerns about postgraduate study whilst providing information about the steps they can take during their undergraduate and masters that will support their entry into postgraduate research. It is estimated that of the 19,000 professors in the U.K – around 100 are black. Students from an African-Caribbean background do not see themselves represented in higher education and a postgraduate career appears out of reach. Our ambition is to change this through a series of events that will equip black students with the advice and knowledge they need to thrive and survive in an academic career. Join us for informative discussions, exciting academic speakers and an evening to discover opportunities in academic research. 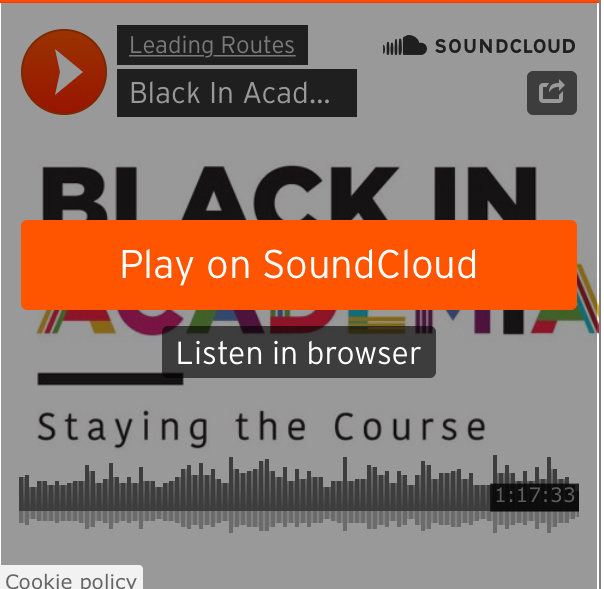 Chantelle Lewis – PhD researcher, Goldsmiths, University of London (Sociology) – omitted from the podcast — come on of our events to hear these practical tips!